Our marathon men have done it! 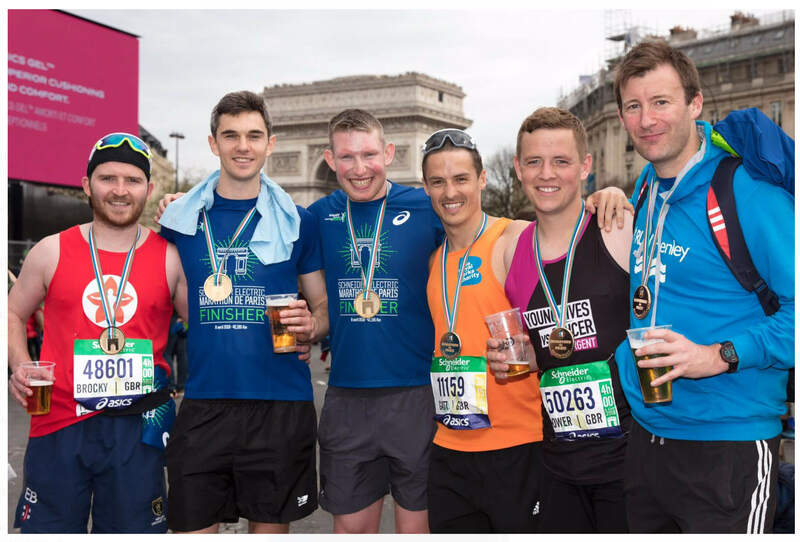 On Sunday 8th April 2018, 3 Henley CC players and outgoing club stalwart Stewart Davison, took to the streets of Paris, to complete the unenviable task of 26.2 miles on foot. A truly magnificent effort from the lads saw them all cross the line in very impressive times, having drawn on some physical and emotional reserves that will serve them well this summer.